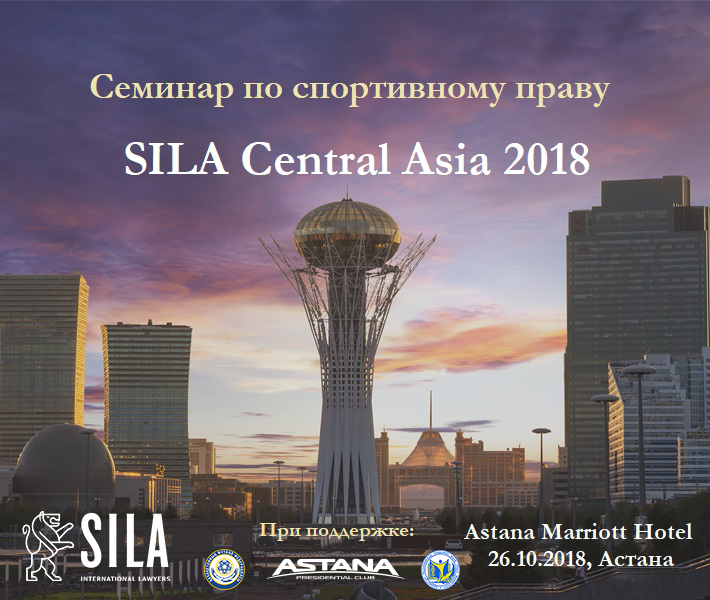 Dear colleagues, SILA International Lawyers company is happy to announce the first seminar on sports law in Kazakhstan which will take place in Astana on 26th of October. The seminar is held with the support of the Football Federation of Kazakhstan, the Ministry of Culture and the Presidential Club “Astana” and will be dedicated to different problems arising in football in general and in football clubs in particular. The list of speakers of the seminar includes partners of the law firm “SILA International Lawyers” Mikhail Prokopets, Yury Zaytsev and Georgi Gradev, lawyers of the firm Ilya Chicherov and Maria Tokmakova, CAS arbitrator, ex-lawyer of FC “Porto” and the football player Hulk’s agent Daniel Lorenz. All representatives of football clubs and federations, as well as sports agents and lawyers from all countries are welcome to the seminar.